You know it as one of the best cake shops in Sydney, and we know it as the place that fuels our addiction to any-excuse-will-do treats that make the world feel like a better place. It’s hard to believe a world without La Renaissance ever existed, but 2014 is the patisserie’s 40th birthday, and we're super excited for another 40! 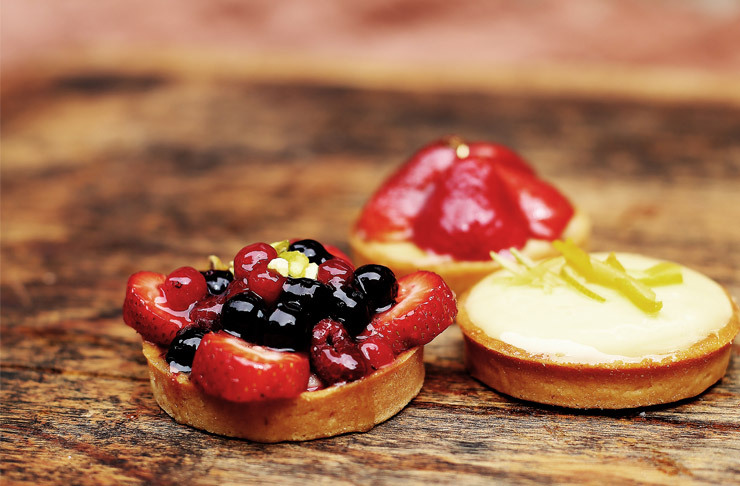 La Renaissance Patisserie offer the best of both worlds, the indulgent take away section and a courtyard café where you can enjoy a coffee and something special from the display. And for the chocoholics out there, i.e. everyone on the planet, we have *puts hand on heart* Zulu. This heavenly creation features salted caramel and dark chocolate ganache inside Valrhona ‘Macae’ chocolate mousse (we’re not sure what that is but we dare not question the genius of La Renaissance) then dotted with macarons and sitting on a biscuit base. It’s every bit as indulgent as it sounds and a wise man once told us that if you eat an entire one in a sitting and no one sees, the calories don’t count. Looking for lunch or just a sweet snack? 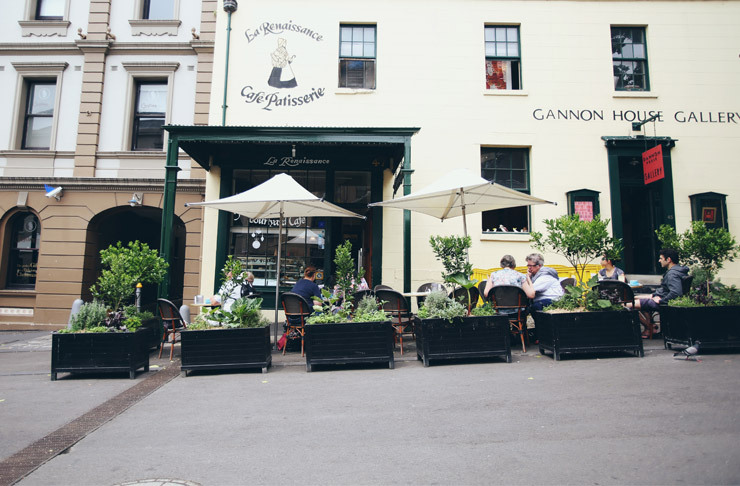 La Renaissance offer typically indulgent French fare in the form of ham and cheese croissants, crusty baguettes, quiches, meat pies with the butteriest of pastries, and of course those irresistible macarons that get us all twitterpated every time we lay eyes on them. And in even better news, mini versions of your favourite La Renaissance cake creations are yours for the taking, and don’t necessarily need to be shared. Looking for catering, or cake delivery in Sydney? 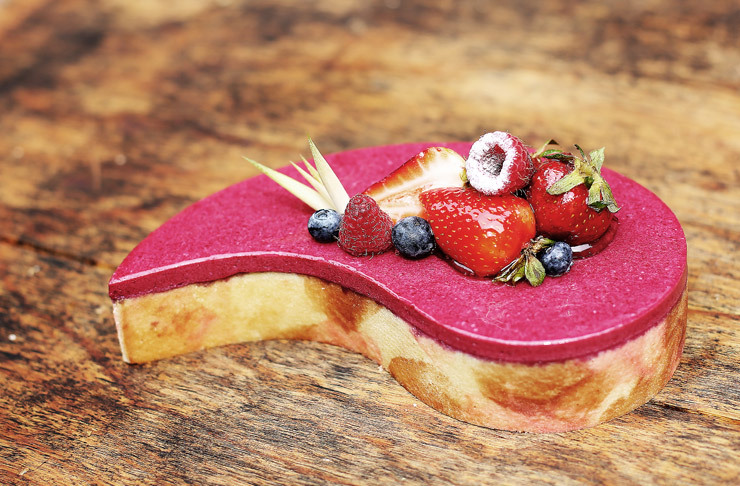 La Renaissance will deliver cakes to your office in the Sydney CBD and surrounding suburbs - now that's dedication! TUL Note: Today's List Love post is proudly sponsored by La Renaissance Patisserie & Cafe and endorsed by The Urban List. Our sponsored posts will never be a secret — the List Love seal will be stamped on any sponsored material you see on the site. Thank you for supporting the sponsors who make The Urban List possible.